National Crown Roast of Pork Day – Zero Equals Two! Today, March 7, is Alexander Graham Bell Day, Discover What Your Name Means Day, National Be Heard Day, National Cereal Day, and National Crown Roast of Pork Day. On March 7, 1965, state troopers and a sheriff’s posse broke up a civil rights march in Selma, Alabama. Thomas Aquinas died on this day in 1274, Cool Papa Bell in 1991, and Stanley Kubrick in 1999. Piet Mondrian was born on this day in 1872. 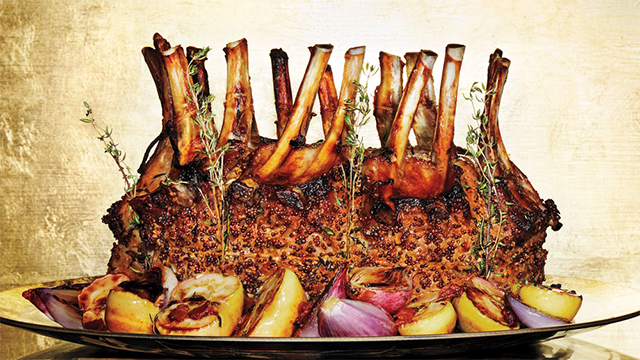 This is mostly a food post, so we’re bringing you a recipe for Crown Roast of Pork. If you don’t feel like cooking that, remember that it’s also National Cereal Day, and enjoy a bowl of cereal! Food Network: The Ultimate Pork Crown Roast Recipe, courtesy of Tyler Florence. Get coupons for cereal.